cuba-marialagorda.com | Want to know before you go? Official Cuba Maria la Gorda information and guide, get facts and latest news. Posted in Cuba’s Diving Paradise	| Tags Bookings Maria La Gorda Cuba, Distance Maria La Gorda Havana, Dive Offers Maria La Gorda, Dive Resort Maria la Gorda, Diving Maria La Gorda, Maria La Gorda Dive Resort, Maria La Gorda Diving Classes, Maria La Gorda Novice Divers, Visit Maria La Gorda, Where is Maria La Gorda Cuba? Hotel Maria la Gorda is around a 4 hour drive from Havana or about 2 hours from Pinar del Rio and is easily reached in your Cuban Rent A Car or excursion packages sold at most hotels within our Cuba Travel Network . You can buy an excursion to Maria La Gorda which includes an overnight stay (or more nights) at literally any hotel reception. The hotel is primarily a dive center with several daily dives over varying lengths taking place. The jetty and dive boats are literally right in front of the hotel because the hotel doubles as the dive center. Many travel agencies will try to sell dive packages with the hotel stay at exorbitant rates but, you don’t need to book diving in advance, as you’re literally able to wake up, head to reception and diving within an hour, so frequent are the dives and so little notice need be given. Dive packages acquired from the hotel reception are also free of any extra costs or commissions so don’t waste your money. 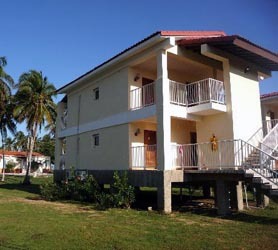 A Casa Particular in Maria La Gorda Pinar del Rio or home stay in other parts of Pinar del Rio province or, near major attractions in the area, will ensure you experience both the wonders of Pinar del Rio’s amazing culture, immersed in one-on-one contact with your Cuban hosts just minutes from Maria La Gorda, Viñales Valley – UNESCO World Heritage Centre and Cayo Levisa. There are currently no Casas near the Maria La Gorda Hotel but, some of the casas listed below are extremely near the hotel and the El Colony Maria La Gorda dive center. We therefore recommend staying at one of the Casas close by and simply heading to Maria La Gorda and booking your dives. There is absolutely NO requirement to stay at the Hotel El Colony Maria Gorda in order to use the dive center. The CIB Colony dive center welcomes anyone so, you could be diving within 1 hour of arriving! Plus, staying at a Casa will help you stay in touch with Pinar del Rio’s rich history and local culture, together with true Cuban hospitality. The owners of your casa particular in Pinar del Rio speak fluent English and have a profound knowledge of the city and its many local sights. 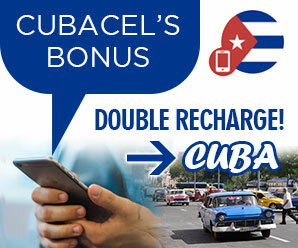 Any questions you wish to ask will be answered instantly by the Cuban family you are staying with. Some of our casa particulares also offer meals and drinks, meaning you’ll get to try some authentic Cuban food also. Chat to our agents if you need help booking a complete package of Flight, Cuba Car Rental and Casas to visit Maria La Gorda or anywhere else in Cuba! Here is a list of just a few Casa Particulares in Pinar del Rio which can be reserved online through us. The well stocked Maria La Gorda Dive Shop boasts highly qualified dive instructors, while beginners can be certified with SSI and CMAS directly on the resort. The well trained multilingual personnel guarantee an optimal service both during dives and on land. Furthermore, if you or anyone in your party doesn’t dive, Maria La Gorda has something for you to do. Non divers can snorkel, fish or even take boat rides to explore the virgin beaches and pristine coastline allied to unrivalled nature found within the bordering tropical forests. At Maria La Gorda and in the surrounding areas of the Resort you’ll find an excellent restaurant, a popular bar (great for diving stories), a general store, international phone service, 24H medical center with onsite doctor, Cuban Rent a Car agency and International Marina Services such as; Immigration, Customs, Coast Guard and Sanitary Authorities. Other marine services available include; diesel sales, fresh water and ships laundry services as well as a wholesale food depot for visiting yachts and pleasure craft. The restaurant at the Hotel Colony specializes in the daily catches of the day, including fresh fish, lobster and shellfish. The Maria la Gorda diving zone is also known as the Ensenada de Corrientes. It is one of the most protected seascapes in Cuba, located within the limits of one of the best preserved Biosphere Reserve in the world. It has an amazing coral reef maturity located just a short distance from the coast and thus ideal for snorkelers or amateur divers. Incredibly, from just 5 meters (16 feet) divers can see immense isolated patches of coral with an abundant sessile fauna, especially gorgonians and sea fans, along with more than 20 other species of coral and lots of small and medium size fish. Lobsters, morays and crabs are frequently spotted in the crevices and small caves making up the coral seabed. From ten meters (33 feet) deep coral growth begins to join together, increasingly taller formations, thus forming a chain of giant coral hillocks cut by channels and passages, with walls falling sharply to greater depths. This coral wall is punctuated with attractive structures such as holes, tunnels and vertical caves, where divers can easily locate beautiful black coral colonies, big tubular branch or cup shaped sponges and even two meters tall (6,5 feet) gorgonians. Among the fish that move along the massive coral wall are; barracudas, jacks, dog snappers, eels and schoolmasters, you can also see eagle rays and stingrays. And with a little bit of luck you can observe some enormous mantas and whale sharks. The Maria la Gorda International Diving Center is located on the far West of Cuba on what is known as the Guanahacabibes Peninsula, in Cuba’s Pinar del Rio province around 180 miles (300KM) from Havana. Getting here is pretty easy, the roads are both well paved and extremely scenic, bringing you through rolling hills, lush tropical landscape and sleep villages. The drive to Maria La Gorda should also be added to the “World’s best Drives”. But here we are concentrating on Dives and not Drives. Maria La Gorda is perhaps the world’s best diving spot, with an immense black coral reserve, the most colorful and exquisite fauna and at least a hundred sunken pirate ship stories. The name itself is apparently derived from the fable of a beautiful lady abandoned by pirates in the area; she survived and decided to take advantage of the favorable geographic location of the coastline site and its propensity for visiting pirate vessels, ominously roaming the Caribbean Sea for refuge, water and food provisions. Of course these legendary marauders were renowned for their tireless admiration for women and “entertainment” so María set up her “Service” in the place that later took her name, offering pirates the female company they searched. Posted in All About Maria La Gorda	| Tags Distance Maria La Gorda to Pinar del Rio, Drive to Maria La Gorda, Guanahacabibes Peninsula Cuba, Maria la Gorda International Diving Center, Pinar del Rio Diving, Visit Maria La Gorda, Why name Maria La Gorda? Whether you are visiting Maria La Gorda from Havana, Pinar del Rio, Viñales, Cienfuegos or any other city in Cuba, you will more than likely visit by renting a car. For this reason we offer some incredible Maria La Gorda Car rental offers from economic cars to 7 or 9 seat minivans to move your whole dive group around together. 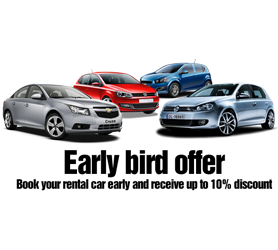 Booking your Cuba Car Hire in advance is crucial to your trip and, by checking our rates and availability you’ll be able to find the car to suit your budget and ensure it is ready and waiting on the exact day, time and location you choose. Book your car to visit Maria La Gorda with Havanautos, CubaCAR, REX or Via Rent a Car now to avoid setbacks or unnecessary unplanned costs while you’re in Cuba. Our exclusive Cuba-One-Way® program also caters for those of you who wish to collect your Cuban rent a car in say Havana and return it in another city, ensuring that your exact itinerary starting from Havana and, maybe leaving in Santiago de Cuba is organized in advance. If you’d prefer a “one-price” offer, we have our FlexiDrive® Road Trip program which includes Maria La Gorda and no less than 14 Cuba Diving focused hotels across the country. It includes both a rental car and hotel voucher to visit any hotel across Cuba within the program, drive at your own pace, without making forward bookings of more than 24 hours in advance and ensuring absolute freedom to discover our beautiful country. The FlexiDrive® package is available from 7 to 30 days, you decide the duration! All diving sites in Cuba reveal a largely virgin untouched underwater world, offering some of the most beautiful and most interesting diving areas in the whole Caribbean. 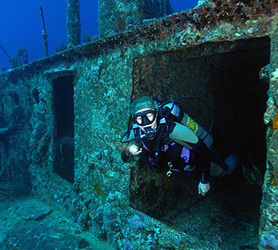 The underwater-landscapes unique to Cuba include interesting caves and labyrinths, mysterious shipwrecks and a vast beautiful variety of sea coral allied to a rich marine world. Let us not forget that the Jardines del Rey reef off Cuba’s north coast is the world’s second largest after Australia’s Great Barrier Reef. While Maria La Gorda is not part of the aforementioned reef, its location is as equally spectacular, if not even more exclusive and unspoiled, due to the largely absent tourist developments in the Pinar del Rio area. Diving at Maria La Gorda means you’ll acquaintance yourself with a broad spectrum of marine life, from simple mollusks and tropical fish, right through to the elegant and powerful Barracudas and sharks, stingrays and gigantic Murray eels. All this you will find around Maria la Gorda dive sites. The impressive Admiral dive site at Maria La Gorda is one of the deeper dives at 90 feet. However, when you reach the blue wall you’ll understand why this site is high on the list of any diver visiting Cuba. The whole coral wall is covered with huge sponges and sea fans. Visibility at the Admiral is generally excellent and dives are treated to assortments of; tarpon, angelfish, grunts and groupers and many more exotic species in the area. At just over 100 feet you are presented with immense blooms of black coral which continue down for around 20 feet. The Admirals dive wall has a beautiful bright blue backdrop and whale sharks are frequently seen skulking around the reef. A popular dive site at Maria La Gorda is of course Maria´s Hall. Essentially a cave the site is characterized by varied sponges and ornate coral formations. The Salon de Maria is located just 10 min away from the resort by boat and is probably one of the first dive sites you’ll visit at Maria la Gorda. The cave can be entered through any one of three entrances, all offering bright purple, pink, blue and green coral walled decoration. The cave is home to large number of tropical fish as well as coral and yellow sponges.